The new and improved snap-curl watch from TIME-IT®. 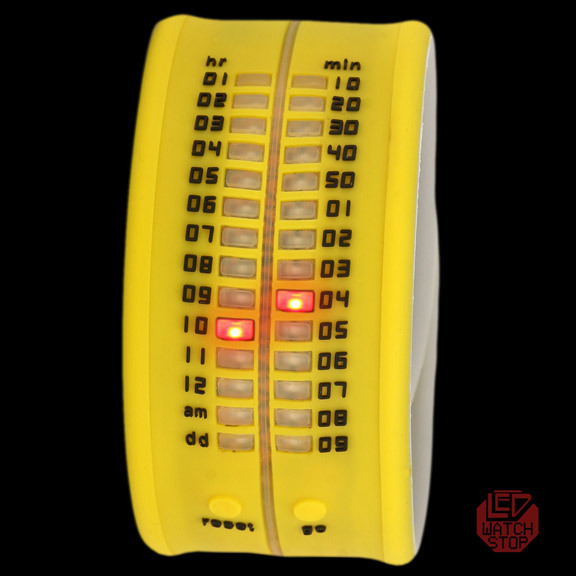 Two lines of LED’s to tell time. 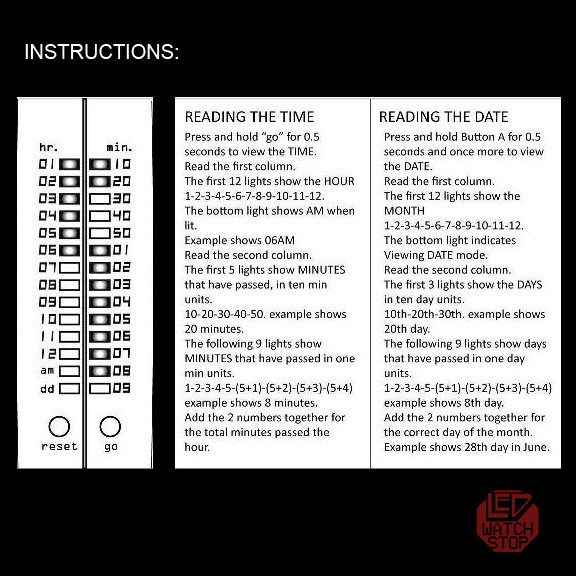 One line to indicate hours and a second line for minutes. Its truly unisex design coils around any wrist. 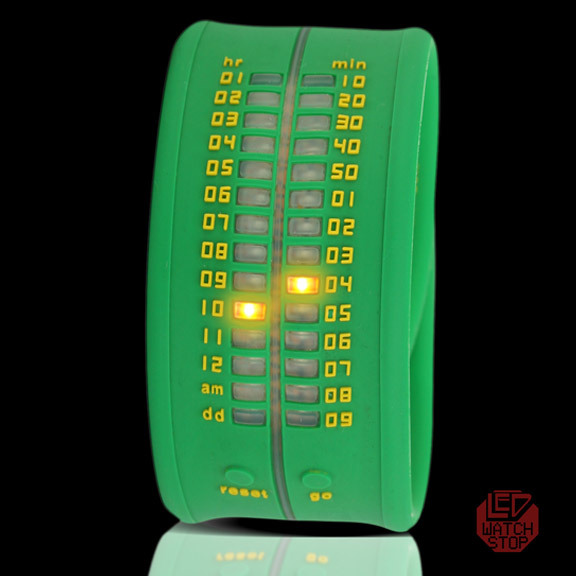 This cool silicone watch features a unique claspless design; there is no need for one! Just slap it against your wrist and the watch will coil around it. 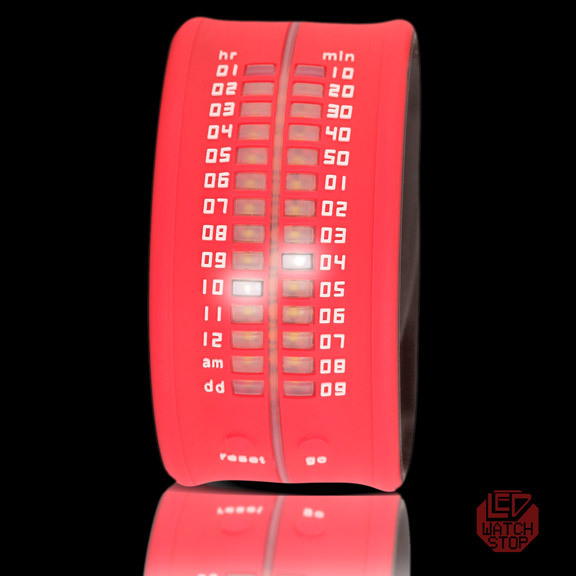 The display is not too big and is placed perfectly in the middle, therefore the time is also easy to read on a small wrist. The new Zero model runs on a standard battery, which can be replaced easily at home, making a trip to the watch shop a thing of the past. 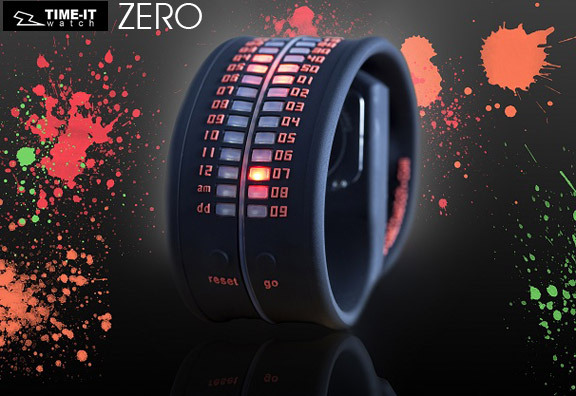 A radical new approach to fashion / Sports watches featuring an ultra comfortable silicon, claspless "snap curl" design. Just snap it against your wrist to wrap comfortably in place. Easily worn for sports or leisure...so comfortable in fact you may forget you are wearing it until someone asks you to explain your funky and fashionable timepiece. Trendy, sporty, artsy, sophisticated, fashionable. Available in several color combinations.....there's a TIME-IT watch for every mood.